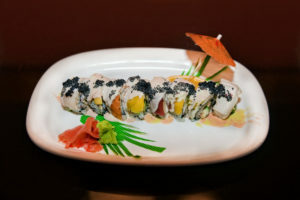 Wilmington’s original Japanese Hibachi and Sushi Bar that serves only the freshest ingredients. Watch our chefs skillfully prepare hibachi style entrees right at your table while they entertain you and your family, or enjoy a candlelit sushi dinner in our exclusive sushi bar. For a taste of authentic Japanese cuisine in a local family-owned-and-operated establishment, enjoy your next meal at Hiro Japanese Steakhouse & Sushi Bar in Wilmington, NC. Stop by for lunch or dinner to savor fresh seafood, hibachi meals, and other Japanese favorites. Learn more about our Japanese steakhouse before your next visit. Hibachi is more than just a style of dining. It’s an exciting experience that you can enjoy with family and friends. Choose from a variety of entrees, and watch as your food is tossed and seared by our professional hibachi chefs right before your eyes. 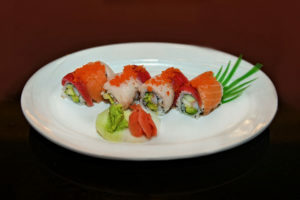 We also offer a variety of sushi options for lunch and dinner that will satisfy your seafood craving. Before your next visit, view our menus. Celebrate your next birthday (and a friend’s) with Hiro’s buy one, get one half-off birthday special. Visit our restaurant from 4 p.m. to 6 p.m. to enjoy our early bird special featuring hibachi and sushi specials. We also offer a variety of drink specials from Monday through Thursday — like half-off bottles of wine on Wednesdays. 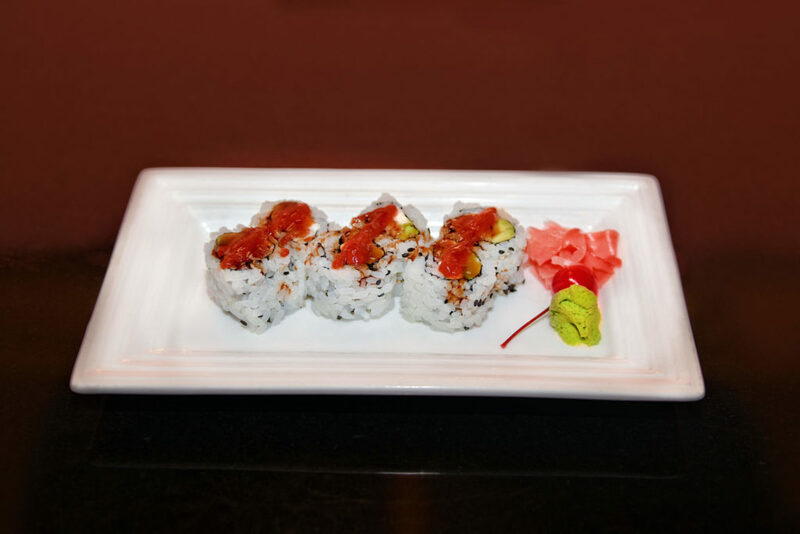 For more information about our steakhouse and sushi bar, contact us or stop by for a meal you won’t forget. WATCH OUR ENTERTAINING CHEFS SKILLFULLY PREPARE A FRESH MEAL AT YOUR TABLE ON A SIZZLING HIBACHI-STYLE GRILL, OR ENJOY A CANDLELIT SUSHI DINNER!